Made Possible By America’s Top Local Craft Roasters. Get 20% off your first coffee delivery. We take privacy seriously & don't share info. "The coffee comes in the mail without me having to even think about it. Huge hit in our house. In fact our friends come over and think my husband's a coffee guru because he makes it well and the beans are excellent." Set your taste preferences to help guide your coffee roasters. This ensures your coffee adventure will only take you places you're certain to love. Customize the perfect coffee plan for your tastes and schedule while effortlessly exploring America's most skilled craft roasters. "It took us a while to find a coffee plan that sampled different roasters and with both darker and lighter roasts. I haven't seen anything else quite like Stay Roasted in America." 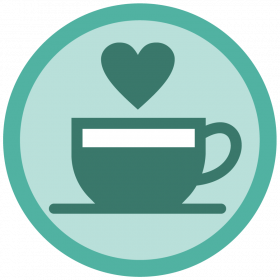 Choose from over 45 top craft coffee roasters. Your roasters will take turns hand-selecting coffees that match your tastes and deliver them fresh to you. Queue up your roasters just like a music playlist! "The variety of roasters has allowed me try and enjoy coffees that I never would have tried. What sets Stay Roasted apart is the ability for me to control which roasters I get coffee from." Enjoy fresh refills only when you want. No matter what life throws at you - adding a bag, rescheduling or stopping for a while is only a few clicks away. "I really like that I can try so many great coffees from across the country as fresh as a local. It also doesn't hurt that I don't have to lift a finger to do it." 100% specialty-grade whole bean coffees, ethically and sustainably sourced and skillfully roasted. You'll take comfort in knowing you're getting only in-season selections matched your taste preferences. Each coffee roaster we allow to participate in Stay Roasted takes great care in their roasting and blending to ensure maximum flavor in every bag. When you start with coffee beans at their absolute peak of freshness, you'll experience all the flavors that were missing from traditional store bought or corporate brand coffee. Every coffee delivery is roasted fresh and sent directly to you from the roasters you chose. Keep the variety going while still keeping within your taste preferences. 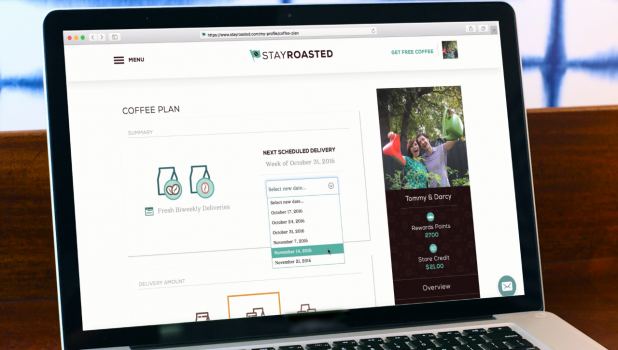 Stay Roasted members get instant access to over 45 of America's top local craft roasters. Curate your own personal playlist of coffee roasters with your Roaster Lineup. Each roaster will take turns hand-selecting your coffees to match your tastes and deliver them fresh to you. Add or subtract a bag from your deliveries, switch your taste preferences or reschedule when the situation calls for it - all in a few clicks, not rounds of emails or jumping through hoops. Automatic fresh refill deliveries only when you want. Plus full control of your coffee plan online. You're only billed for the amount of coffee you want at the time you want it. Stop your deliveries for good anytime online and pick back up if and when you want. You're in control. You're not locked in. You only pay for your coffee. Mornings set the tone for the whole day, so it's main ingredient better be the best. "How can you beat great coffee from a variety of roasters showing up on your doorstep every two weeks? Every coffee we have received so far has been excellent!" Every delivery contains freshly roasted whole bean coffee in the roaster's sealed 12oz bags. The number of bags in each delivery is set by you and each bag is hand-selected by the roaster based on your taste preferences. You can add or remove a bag from your next delivery whenever you want as well as change up your taste preferences. What is my Roaster Lineup? Your Roaster Lineup is your personal playlist of coffee roasters. Starting from the top, your roasters take turns selecting, roasting and delivering your fresh coffee beans. You can add roasters (free of charge), remove them and sort them just how you want. Can I get pre-ground coffee? No. Freshly roasted whole beans only for maximum freshness. Once you grind coffee it begins to get stale in only 15 minutes! We recommend grinding your coffee right before you brew. If you don't have a grinder, you don't need to invest in an expensive one - just start with a simple one from Amazon or the grocery store. Can I get organic coffee? Yes! While most of the coffees delivered by our roasters could be considered "passively organic", we have several roasters who are fully USDA Certified Organic. You can identify them by the USDA seal when you're exploring roasters to include in your Roaster Lineup. These roasters deliver only USDA Certified Organic coffees. Can I get Decaf coffee? Yes! Not only are all decaf selections specialty-grade and freshly roasted, but they are all 'water processed' decaffeinated as well. Water processed decaffeination is the highest end decaffeination process available since it maintains more flavor and involves zero chemicals. Not right now. We deliver directly from U.S.-based coffee roasters to U.S. addresses including Hawaii, Alaska and Puerto Rico. If I really love a coffee, can I get it again? Maybe. Our roasters work in small batches and rotate their selections frequently. So while you can definitely get the same roaster as many times in a row as you want, they may select a different coffee for you the next time around. But don't worry, they will always pick out a coffee that matches the preferences you've set. Right here! You can get started today with your first coffee delivery at 20% off - only if you hurry though - this offer is limited time only.